Today in the nonfiction trade publishing workshop for scholars, we discussed some key differences between a prospectus and a proposal, and how to approach those editors whether they work at the trade divisions of university presses, or at trade presses (FSG, Knopf, Norton, Random House, etc.). However, another author asked about the title, and I suggested that’s not as big of a deal in the prospectus or proposal stage. Unless you have an amazing title in mind, it makes sense to give the project a robust working title that conveys at a glance what the book is about, rather than something fun or clever, but not necessarily clear. Editors expect — at least at this stage — a working title only. So worry about your opening, and don’t (yet) fret over your title. More from the workshop soon when we post video clips! One of the many reasons I love university presses is their business model that focuses on books for content and author rather than for commercial sizzle. Wags might complain that’s changing, but overall UPs still keep their eye on the superb prize of publishing good books even if their sales potential is not obvious. This passage from a recent New Yorker article on digital publishing points things out nicely: According to the American Booksellers Association, the number of independent booksellers has declined from 3,250 to 1,400 since 1999; independents now represent just ten per cent of store sales. Chains like Barnes & Noble and Borders account for about thirty per cent of the market, and superstores like Target and Wal-Mart, along with clubs like Costco, account for forty-five per cent, though they typically carry far fewer titles. As a result, publishers, like the Hollywood studios, are under enormous pressure to create more hits—more books like “Twilight”—and fewer quiet domestic novels or worthy books about poverty or trade policy. As more trade publishers say “no” to what they see as mid-list books, I believe qualified authors will seek refuge at great university presses. 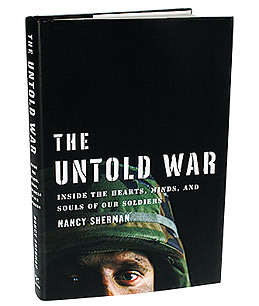 After all, as one university press director pointed out when I visited his office in New York, a book that sells 10,000 copies at a trade press might be considered an under-performer, whereas that same book with the same sales could be the top title at a university press. She will be at the Woodrow Wilson International Center for Scholars on Friday, April 30. The announcement is here, click to view. Most authors describe Warren Buffett as a value investor alone in the tradition of his professor and mentor Benjamin Graham. The most important part of the book is in my argument that Warren Buffett is not a pure value investor. Buffett has incorporated ideas from others as well, especially from Philip Fisher. In other words, he does not emphasize historical numbers alone as Benjamin Graham did. He combines value investing with growth investing in the sense that he invests only when he is comfortable about a company’s growth prospects for a long term, say for 10 years or more. So, he looks at the future carefully. This is the reason I label chapter 6 as “Buffett Investing = Value + Growth.” Prior to this chapter, I use one chapter each to explain value investing and growth investing. This thinking on investing for a very long term sets him apart from other growth investors who invest in high-tech companies for growth and hope to make a quick profit. Instead, Buffett invests in companies such as Coca-Cola and American Express which may grow more slowly, but for a very long term. He holds on to his investments for a long time, usually longer than 10 years. Why is it that other managers think that investing in high-tech companies equals growth investing but Buffett does not? My conclusion is that he emphasizes the importance of managers who engender growth even in the so-called traditional low-growth industries. His success in long-term investing, especially for growth, can be attributed to people (rather than investing in high-tech companies) who manage his companies. Without doubt, he emphasizes the quality and integrity of people more than any other financial metric. Yet I do not stereotype Buffett as a particular type of investor, and I explain why it is important to consider a multidisciplinary approach by not forgetting the importance of other fields such as psychology. In this environment, when Wall Street has been affected by many scandals, Buffett’s emphasis on slow and steady growth should be a good lesson for investors and CEOs. Here are two links provided by Georgetown author Prem Jain. The first is a review, and the second is a Q&A conducted by the same blogger, private investor and writer Ravi Nagarajan at Seeking Alpha. Please also see the video from TheStreet.com in the post below. This is great — Dr. Prem Jain from the McDonough School of Business on TheStreet.com: Warren Buffett as Growth Manager — TheStreet TV. 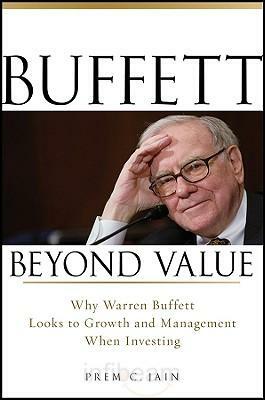 Dr. Jain’s new book, Buffett Beyond Value, is new from Wiley. He knows Warren Buffett, who has come to Georgetown as his guest to speak to business students, and he takes students to the Berkshire Hathaway annual meeting.